My 4 year old granddaughter is a princess fanatic and loves all of the Disney princesses. 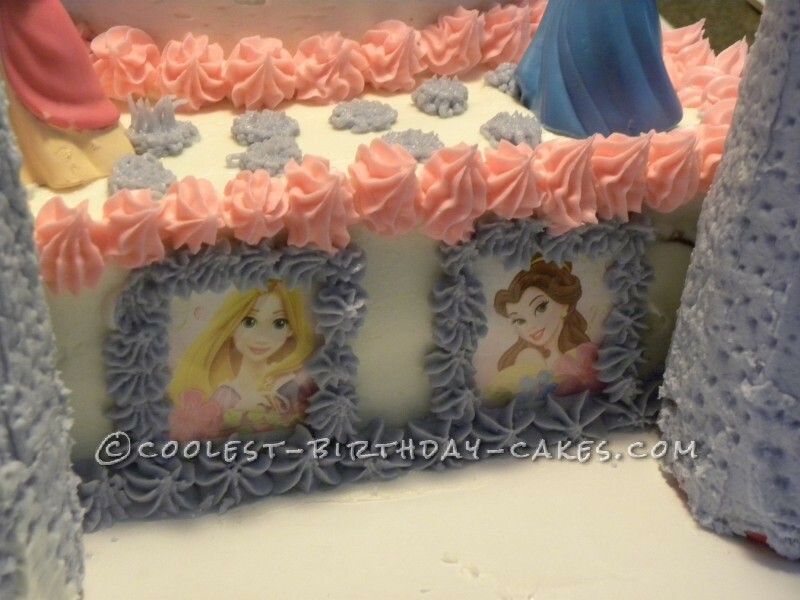 I searched throughout the internet and got different ideas on how to make a princess castle cake. The turrets are made of plastic tumblers (from the Dollar Store) that I frosted with icing and then used a meat tenderizer tool to make the designs on it. I made two 13×9 cakes and two 9″ round cakes. The princesses were purchased at the Dollar Store also. I made windows around the castle using princess stickers that I put into plastic sleeve that you use for baseball cards. I cut them to fit around the stickers and then iced them in place so it looks like they are looking out of windows. 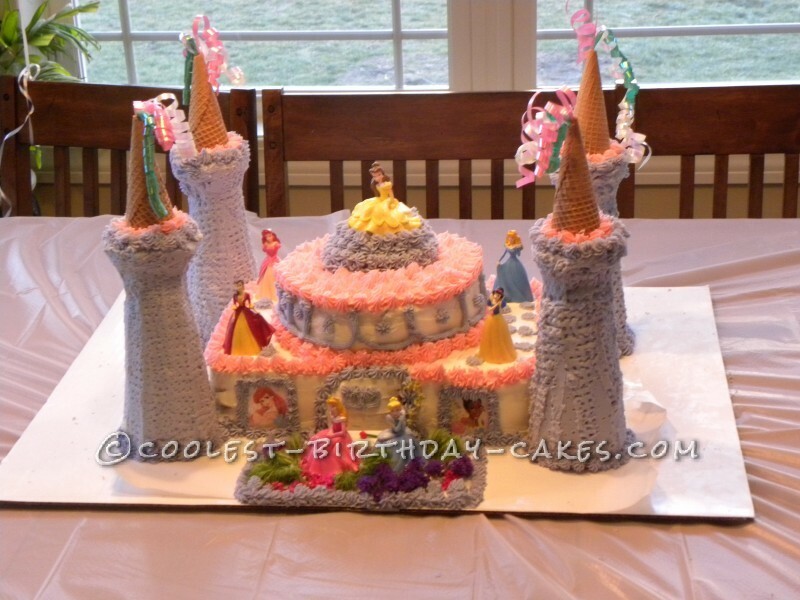 Ice cream cones were used for the top of the turrets and they were also frosted into place. 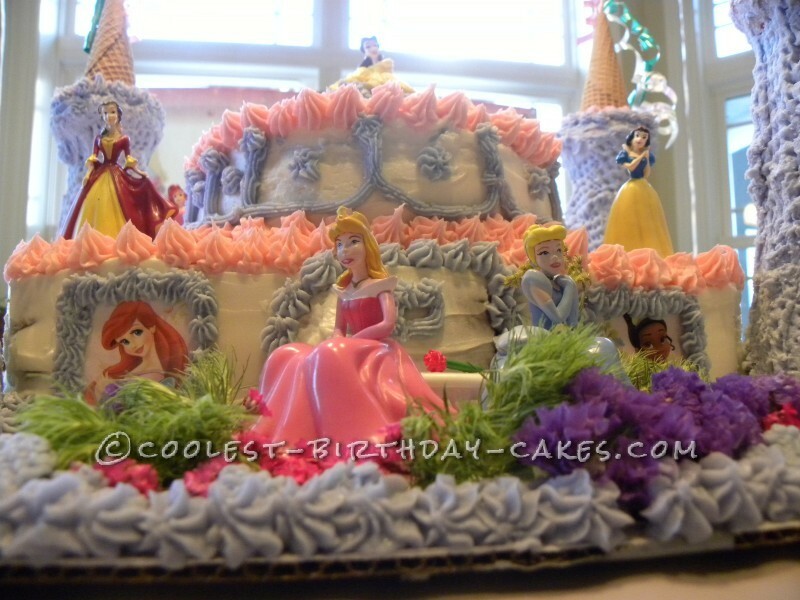 The sitting princesses in the garden in the front was made by my sister using some real flowers pieces that I had and the top from a previous cake. 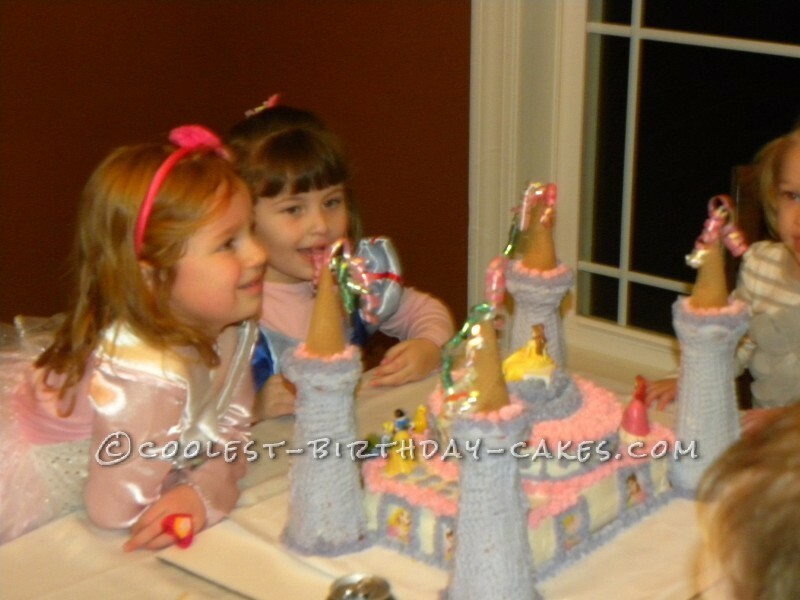 My granddaughter was so excited when she saw the cake that she didn’t want to cut it, she wanted to save it forever! The cake took a lot of time and planning but everyone loved it. It definitely made her day!